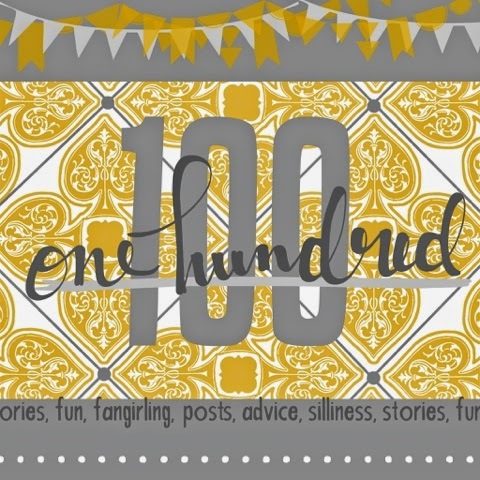 100 posts in! 100 posts full of Sarah silliness, insights, story samples, and plenty of advice on plenty of subjects. I'm just enough of a data dork (yes, another of my lovely quirks) to enjoy watching those numbers tick higher and higher. Delightful! The top 10 (plus 1) are a medley of everything that makes me ME. Read and enjoy! Bend in the Road Are there rocks ahead? If there are, we'll all be dead! New adventures don't come without a little bit of risk. Woman: The Most Dangerous Plaything Meet Sylvi Lockhart, a budding author who throws in with private investigator Jesse James. What begins as research for her next novel leads to adventure, excitement, and more sweaty balding men than Sylvi bargained for. Socially Acceptable Stalking: the Ins and Outs of Followers Ah, the art of mastering the Twitterverse. It's not for the faint of heart! Learn how to find, gain, and keep worthwhile followers. Ready or Not... Change will come. How you respond to it as a writer and as a human being will define you as a person. #BookSelfie Everybody is jumping on the #selfie train! Maybe you think it's only a fad, but trust me, it's fun to see your cover featured in a #BookSelfie! On Tour! Revisit Becoming Beauty's Blog Tour from Nov 2015. Yep, I'm definitely doing that again. Blog tours are the best. Verbosity Many are afraid of large words, but they needn't be! We only need to use them well so that our audience will run to Google and not throw our books at the wall in annoyance. Ms. Etiquette Makes an Appearance After conquering the Neanderthals at school, Ms. Kindergarten Teacher takes on social media. Can they be taught manners? Or will they be put in timeout within the first five minutes? Cringe Worthy Got an embarrassing moment? Suuuure you do...I'm pretty sure I've got you beat. Humiliations galore! Sassy Pants Worried about crafting the perfect Woman Power heroine? How about being one? 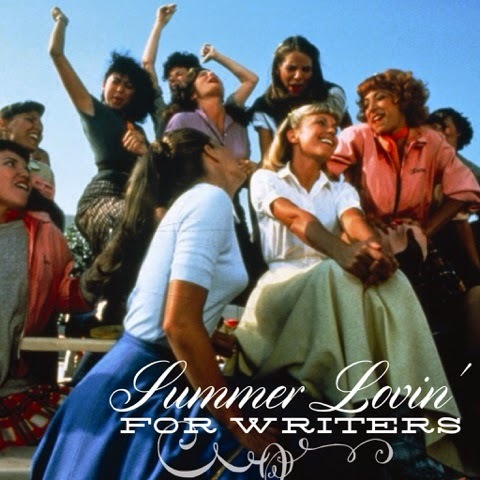 It's fun and makes for fantastic writing. Last year, I attended my first writers' conference, LDS Storymakers. I had the honor of meeting Sara B. Larson. She was such a gifted presenter--spunky, adorable, and fun--that I had to buy her book. Defy had a compelling storyline, a complex heroine, and a healthy dose of romance. And okay, a beautiful cover. How could I resist? 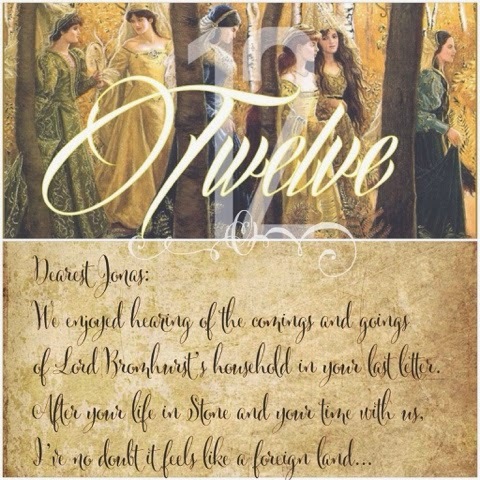 The twins' story is reminiscent of Shakespeare's Twelfth Night (which is one of my favorites) with a whole lot more sass and action thrown in. I connected with the story almost as soon as I cracked open the book. I hit the end of Defy and went, "Whaaaaat?" Fake out! 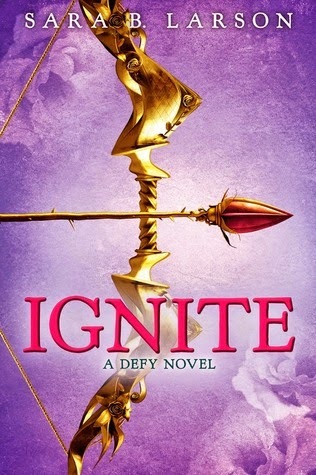 When the sequel Ignite was released, I grabbed it on Amazon. In the midst of finishing the school year and dealing with all the stresses of moving to a different school, I blew off some steam reading Ignite. 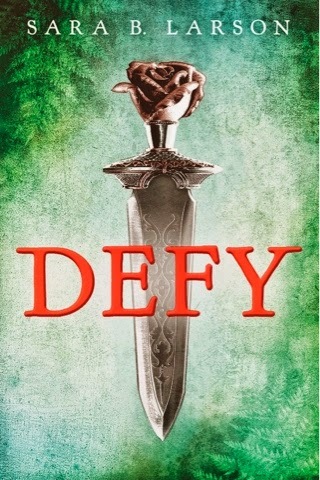 The characters Sara developed in Defy continued to seize my attention and tug at my heart strings. Alexa is fascinating, strong, and skilled in ways the typical heroine isn't (in swordplay, for instance). She's the subject of my previous post Tragically Flawed...Or Not. And her relationship with King Damian keeps a girl reading into the wee hours and emitting girlie sighs. The finale, Endure, will be released in January 2016. And yep, I'll be picking that one up too (and taking it wherever I can to get Sara to sign it). Anyone who loves YA Action/Adventure would enjoy this series. Read on for the blurbs! In pursuit of more sanity and brains for creative endeavors, I'm leaving my career in public education for a stint in the charter school arena. It has been the best hard work I've ever done, but after ten years, it's time to say goodbye. You've taught me to love children of all colors. You've taught me that children from all walks of life can learn and grow regardless of their background. Truly, some of my greatest success has been with children who spoke no English at all when I met them. It doesn't matter if their parents had little schooling, by working together, we made miracles. I will never forget your beautiful faces or your bright eyes. Your families have won my heart and your cultural flavor is one of a kind. The warmth with which you welcomed me will never be forgotten. Memories of special celebrations, dedicated parent volunteers, Zumba nights, and Halloween madness will accompany me wherever I go. My emotions have been on a roller coaster since I made the decision to submit an application for the new position. And there will definitely be more water works to come. 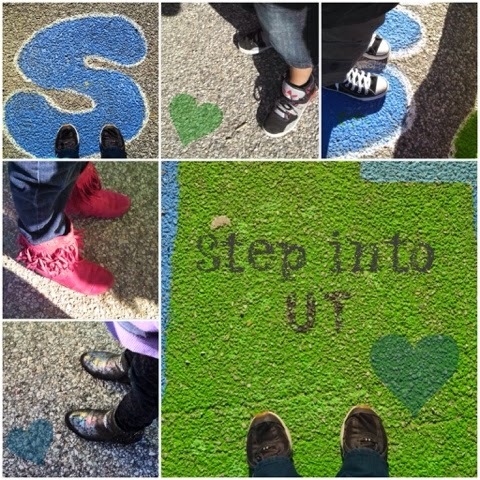 Though I'm pleased to have the opportunity to try a new path, I'm happy to have worked hard and well with students who needed me so desperately. I will not forget my time with them. Ever. What can I say? I love my people. 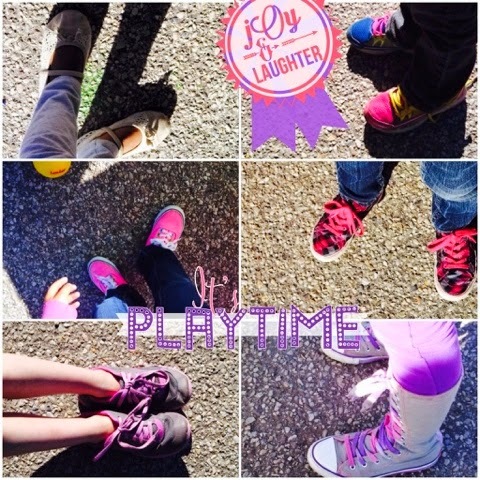 For more on my Kindergarten Journey, try Adventures in Kindergarten, It's Playtime! or The Start of Something Good. And don't ever let anyone tell you teaching is for those who can't do anything else! You've heard the old adage about judging a book by its cover. Well, discerning readers do. They can differentiate between covers that ignite the imagination and those that are schlepped onto a book willy nilly. I'm too professional to post others' crappy covers here (read: I believe when we bad mouth others we're inviting them to bad mouth us) but feel free to surf Amazon's free or 99¢ titles for examples of what I mean. A cover should be chosen with care. The theme, style, and mood of a story are reflected in a well chosen illustration. Not only will we judge a book by its cover, but we should judge our own works by their covers. Know what you want: Consider the style of your book and look at other books in the same genre. Do you want to fit in or stand out? Think about what colors represent the mood and flavor of your book and if a modern or classic image would be more suitable. I'll admit that I lucked out! The fabulous designers at Cedar Fort asked for my input early on and delivered an image with everything I requested: a jewel tone color scheme, a single female pictured in a pensive position, subtle roses as a nod to Beauty and the Beast, and modernity blended with classic details. When I received the preliminary cover, I let out a girly shriek and freaked my friend out! That was it. I still love everything about it. Don't settle for mediocrity: About a year ago, my cousin and I had a conversation about high quality book covers. She's an artist and photographer and related the story of a friend who demanded one thing and another in a book cover, but after being presented with several options, she chose a generic cover that featured none of the elements she'd requested. 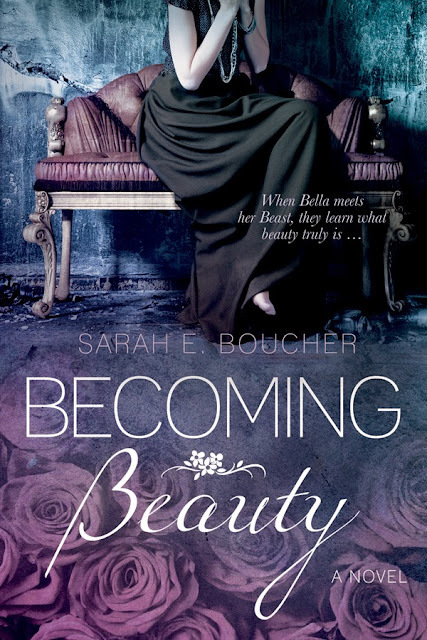 It was at this point that I whipped out my phone, pulled up the preliminary cover for Becoming Beauty, and showed it to my cousin. "That," she said, "is what I'm talking about!" To have an artist's endorsement of my little book gave me a distinct thrill! Do your homework: There are plenty of designers on Facebook, Twitter, and Instagram. The fun of social media is that you can get a feel for designers' strengths without committing to anything. Most of them are open to questions about their products and will chat with you freely about what they can offer. Take your time. Remember that a good cover will pay for itself in the long run. Covers are the first impression consumers will have of your book and an eye-catching cover urges readers to delve deeper, learn more, and ultimately purchase your book. If you'd like to learn more about Becoming Beauty, this is the perfect time! 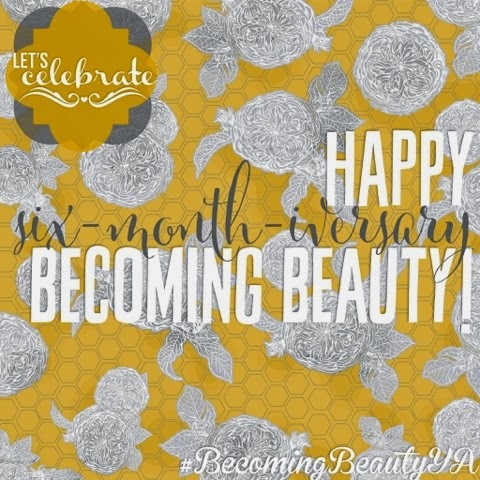 For its six month birthday, Becoming Beauty is 99 cents on Kindle, Nook, iTunes, & ebook. Enjoy!